I am a lover of all pasta. I also love every type of cheese including cheddar, provolone, swiss and my ultimate fave, parmesan. Every year, especially around the holidays, I begin to cringe knowing that a wave of disappointing mac and cheese recipes are going to be shoved on my plate. I’ve had it baked, fried, in a cone and while the way it’s served might change, my dislike for the food doesn’t. I’ve had it simple, creamy, southern and even a little sweet and I still believe it’s worse than a week old pot roast. People often say, “well you just have to try mine,” like somehow their recipe will change my mind. No Karen, I still don’t want to try yours with the vegetables. 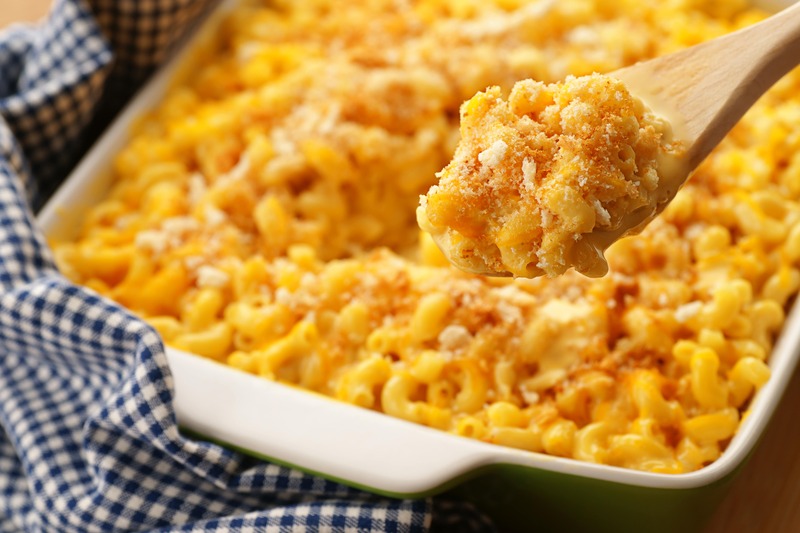 Beyond the gross, thick, stringy texture and the loud mushy sound that it makes when people scoop it or eat it, the loathing that I have for mac and cheese isn’t something that just lives on the surface. The hatred I have for the food started with my upbringing, something that I often remember each time it’s put on my plate. My disdain for mac and cheese began young. I recall going grocery shopping with my mother. Her tired eyes and body thinking and rechecking her grocery list. The constant worry she had as she calculated how much everything on her shopping list would be because she only had so much money she could spend. Hearing the weariness in her voice she would tell me to grab multiple boxes of mac and cheese and telling me to throw them in the cart. “Can we get the Kraft version this time?” I pleaded, hoping that this time after asking on several other occasions that it would be different. In this trip I’d throw in the faux Kool-Aid and knock off versions of cereal in the basket too. “Boy, I told you to grab the store brand. It’s cheaper and it will go longer in the month,” she always said, because we only went grocery shopping on the first of the month in our household, mac and cheese was cheap and something easy for my mother to make. As a child, my mother would often display her love through her cooking. But the reality existed that even with her hard work, she couldn’t afford to show her love by making things with name brand items. But it wasn’t her fault. The system never allowed her to. There were moments in my mind where I felt like we were eating some type of random mac and cheese creation every other day in our household. We had it with chicken. We had it with beef. We had it with a random baked turkey leg that was a reminder to me that food in the house was getting low, so that meant I needed to be mindful about how much turkey I put on my plate. Mac and cheese never has and never will signify anything “good” on my plate. It symbolizes years of poverty and sadness I’ve experienced and years of my mother’s fight to do her best with the little she had. Now as an adult who has total control over what I do and don’t have to eat, I refuse to entertain the idea that mac and cheese is enjoyable. It reminds me of a time where my family often ate it to survive being that mac and cheese was often the only thing that we had in our cupboards. Though I have tried on numerous accounts to get over the aversion I have for it, I believe that it might be too late for the damage to be undone. No matter how many times I smell it or try to bring myself to eat it, it still screams “struggle” as I try to put it in my mouth. Being aware that there are thousands of people in this world still living the same struggle, and mac and cheese being the only thing that they can afford to eat, I pray day in and day out that I never have to go back to the day where it was my only source of nutrients. So no, there is no hope for mac and cheese and you telling me that I “just haven’t tried yours” won’t change it. Spare me on your great aunt’s recipe or the extras that your mom puts in her recipe during Thanksgiving and Christmas dinner. Mac and cheese is in fact nasty and there is nothing that anyone can say or do to get me to believe otherwise. So there it is. I hate mac and cheese and now you understand why.